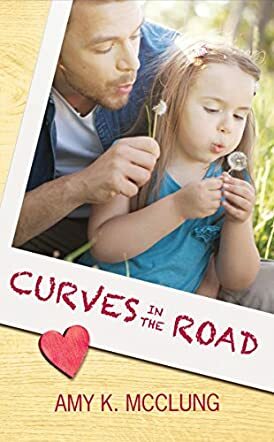 Curves in the Road: The Southern Devotion Book 2 by Amy K McClung is the story of Derrick and Mary Jane. He’s been a single dad since he was a teenager and has his life laid out just the way he wants it. His daughter, who is super adorable, is his first priority so when Mary Jane manages to connect with her easily, he finds himself intrigued. But MJ and Derrick are young and while he is a hardworking single father, she is a college student with big dreams that eventually take her away from him. Those dreams are a big part of the ‘curves’ Amy K. McClung refers to in the title of this tale. The curves were interesting for the most part, but after a while it seems like there were just too many of them. I liked both characters straight off the bat. During their first encounter they had a fast paced banter and flirt session that signaled good news as I dug into Curves in the Road. I enjoyed watching them make the distance work for them even if I was a little cynical about their ability to do so. But then there was so much drama for the sake of drama. Most of it plays out well and Amy K. McClung pulls you in and makes you care about Derrick and MJ. But the curves and the tears began to outweigh the romance, which is why this is a four star read for me. I think Derrick and MJ make an interesting couple with a journey that is worth reading.